A challenging 18 holes of championship golf designed by the late Roger Mackay and Michael Coate, it is bordered by state forest on the south and west and east borders and by the Canning River on the north border, featuring wide sloped fairways with large undulating greens, testing changes of elevation and strategically placed water hazards and bunkers. The wide impeccably manicured fairways contribute to the unique character of this very special course, which is truly one of nature’s most picturesque playing fields. When you play a golf course, a great way of testing the quality of the golf course is by how many holes you remember. At Araluen you are guaranteed many wonderful memories. The signature Par 3 16th, the amazing Par 4 9th, are two that stand out immediately, but every hole has its own special feel about it . A fleet of 75 electric golf carts, complemented by continuous cart paths, means golf can be played 12-months of the year. Other facilities include a 300 metre long driving range, two short game practice areas, one with a practice bunker and near by two synthetic tennis courts. A sculptured swimming pool with BBQ area is right next to the pro shop. The golf course is complemented by an impressive clubhouse, providing breathtaking views of the enchanted valley. 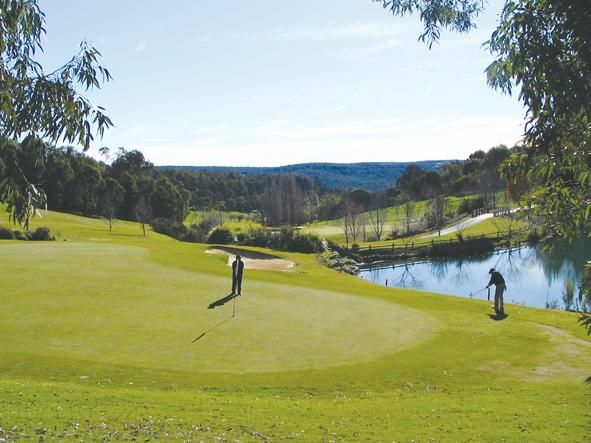 Araluen Golf Resort is situated 40kms south-east of Perth in the beautiful hills of Roleystone, just minutes from the Armadale shopping centres and the Araluen Botanical Park in Western Australia. 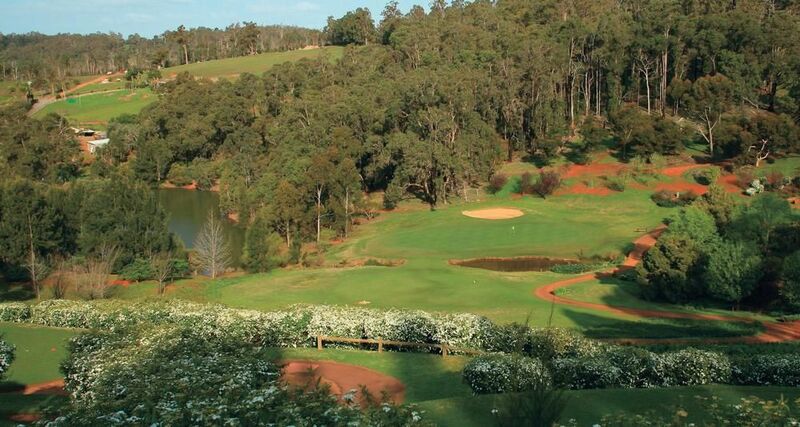 Araluen Golf is not yet in our pool of Golf Courses for orders.